In the most basic terms, a programmable logic controller (PLC) is a computer with a microprocessor but has no keyboard, mouse or monitor. It is essentially built to withstand very harsh industrial environments. It is a distinctive form of computer device designed for use in industrial control systems. It has a robust construction and unique functional features such as sequential control, ease of programming, timers and counters, easy-to-use hardware and reliable controlling capabilities. It is designed to be enormously robust, so it could withstand harsh industrial environments such as extreme temperatures, vigorous vibrations, humidity and electrical noise. 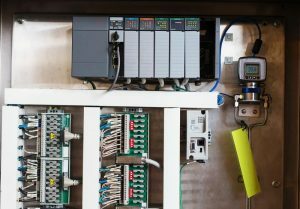 The logic controllers are often tasked to control and monitor a very large number of sensors and actuators. They are therefore different from other regular computer systems in their extensive I/O (input/output) arrangements. In addition to being used as a special-purpose digital computer, the PLC can be used in other control-system areas and industries. This explains why PLCs are often referred to as industrial PCs. The PLC is also commonly used in civil applications such as in washing machines and for controlling traffic signals and elevators. They are used in many industries to monitor and control production processes and building systems. 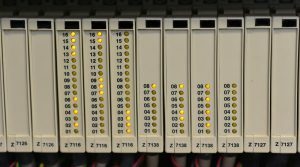 Once programmed, the PLC will perform a sequence of events triggered by stimuli referred to as inputs. 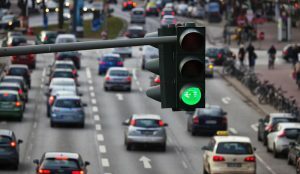 It receives these stimuli through delayed actions such as counted occurrences or time delays. 1. A PLC performs only a single set or sequence of tasks, with greater reliability and performance, except when it is under real-time constraints. This is in contrast to regular PCs and smartphones that are designed to execute any number of roles simultaneously within the Windows framework. 2. The PLC has a number of features that you don’t find in normal computers, such as protection from the open area conditions like heat, dust and cold. 3. It is low cost compared with other microcontroller systems. When you’re using a PLC in various applications, you only need to change the software component for each application. With other microcontroller systems however, you would have to change the hardware components too with different applications. 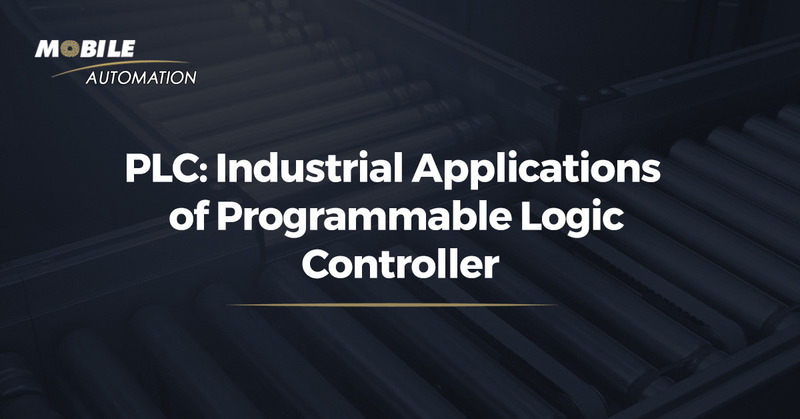 This microprocessor- based controller includes a programmable memory that stores instructions and implements functions that include sequencing, timing, logic, arithmetic, and counting. Each PLC system has three modules namely: CPU module, power supply module and one or more input/output (I/O) module. This module is comprised of a central processor and its memory component. This processor performs all the needed data computations and processing by receiving inputs and producing corresponding outputs. PLC’s computer circuitry runs on a 5V DC output and this is supplied by the power supply module. This is essentially the module responsible for powering up the system. It receives AC power and converts it to DC power that the two other modules (CPU and input/output modules) use. The input/output modules are responsible for connecting the sensors and actuators to the PLC system to sense the different parameters such as pressure, temperature, and flow. The I/O modules can be digital or analogue. PLCs are used in various applications in industries such as the steel industry, automobile industry, chemical industry and the energy sector. The scope of PLCs dramatically increases based on the development of all the various technologies where it is applied. In the Travel Industry, PLC has been used to monitor the safety control system and to operate lifts and escalators. PRCs controllers have been in use in the glass industry for decades. They are used largely to control the material ratio as well as to process flat glasses. The technology has been advancing over the years and this has created an increased demand for the PLC control mode for use in the glass industry. 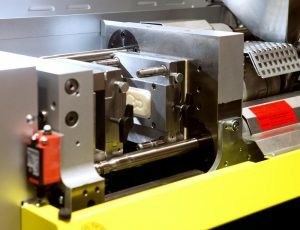 The production of glass is an elaborate and sophisticated process so the companies involved often use PLCs with the bus technology in its control mode. Overall, the PLC is applied in both analogue data recording in the glass production, and in digital quality and position control. 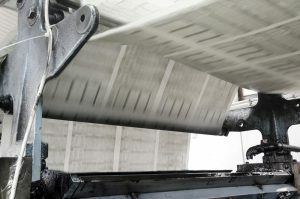 In the paper industry, PLCs are used in various processes. These include controlling the machines that produce paper products at high speeds. For instance, a PLC controls and monitors the production of book pages or newspapers in offset web printing. Manufacturing cement involves mixing various raw materials in a kiln. The quality of these raw materials and their proportions significantly impact the quality of the final product. 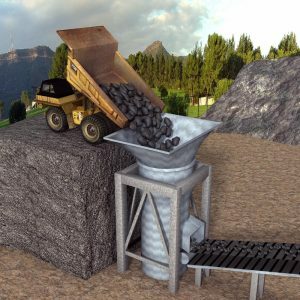 To ensure the use of the right quality and quantities of raw materials, the accuracy of data regarding such process variables is of the essence. A distributed control system comprised of PLC in its user mode and a configuration software are used in the industry’s production and management processes. The PLC in particular, controls ball milling, coal kiln and shaft kiln. Other examples of PLC programming applications that are in use in various industries today include water tank quenching systems in the aerospace sector, filling machine control system in the food industry, – industrial batch washing machine control and closed loop textile shrinkage systems. PLC is also used in the coal-fired boiler fan change-over system in hospitals, corrugation machine control system and silo feeding as well as injection moulding control systems in the plastic industry. The programmable logic controllers at Mobile Automation includes a huge variety from various top industry manufacturers such as Allen-Bradley and Omron. All these can be put to various applications in key departments of your business to standardise the production process and increase your return on investment.